Imagine on your next construction project; the design, construction and commissioning is all led by one organization. What if that organization was led by a seasoned team of professionals with an expertise in both design and development? What if those design professionals were also your general contractor, committed to not only delivering a state-of-the-art project, but a high-performing and high-value facility? This type of delivery model, Professionally Led Design-Build, is available and gaining popularity with owners who are looking for projects led by a true master builder. The design-build delivery model has been gaining momentum for many years. Owners utilize this approach when they are seeking a streamlined delivery model that speeds up the design and construction process, yet, savvy owners and managers are often cautious of the design-build project delivery model. As the design-build delivery model evolved, the design professional took a back seat to the large construction entities who led the projects. This has reduced the owner’s control over cost, scope and quality of their project. In the end, the owner is often left wondering if they received the best value for their money. Trade-offs made during construction often result in higher annual energy and maintenance costs. Over time you will end up paying for shortcuts. As challenges with the design-build delivery model became apparent, opportunity arose for the resurgence of the master builder. The master builder describes a design professional (Engineer or Architect) who leads the entire project, from concept all the way through construction closeout. These licensed professionals are bound by their obligation to hold paramount the safety, health and welfare of the public. Furthermore, they are ethically required to act as each customer’s faithful agent or trustee. Following this philosophy, the Wendel Master Builder approach project delivery model was developed with the mission of prioritizing the owner’s interests while providing a streamlined, single point of contact delivery model. This model takes the best attributes of the traditional design-build model and combines it with the high quality and transparency typically associated with the standard design-bid-build model. It is the best of both worlds. In the Master Builder approach, the owner contracts with a team led by licensed architects and engineers. In the early stages of the project, the master builder works with the owner to develop the project concept and scope of work. Using a stepped delivery approach, they work closely with the owner to plan and design the project. 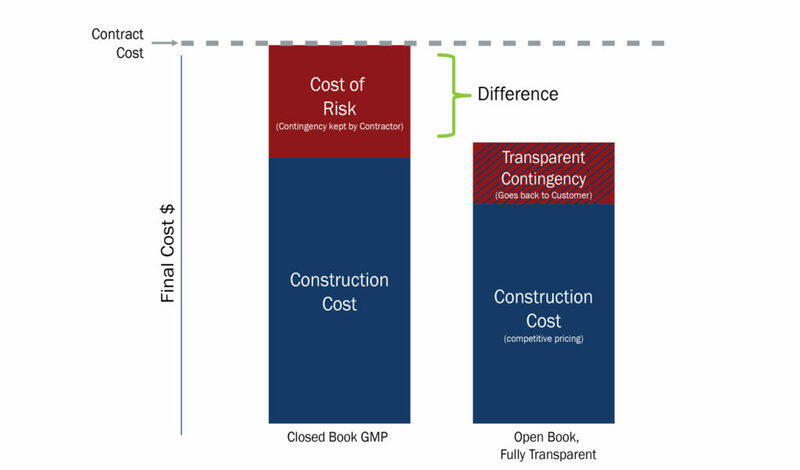 At an agreeable stage, a transparent bid process is utilized to pre-qualify and select subcontractors. Unlike the design-bid-build process, the bidding phase is prior to the completion of the design. The subcontractors invited to competitively bid on the project are vetted by the master builder and owner to ensure qualifications, experience and quality. Following selection, the design professionals and subcontractors work collaboratively together with the owner to complete the final design and set the final project cost based on the competitive pricing already received. By using a phased and fast-track approach, early work packages and long lead items are released for construction prior to completing the design. This approach greatly reduces the overall project schedule and brings the owner one step closer to realizing revenues from the project. The master builder oversees the construction as the general contractor/construction manager. They implement the project utilizing a fully transparent, open book project accounting methodology where all design, management and construction costs are fully understood and agreed upon upfront between all parties. This ensures there are no surprises and no cut corners along the way. Collaborative communication between the master builder and subcontractors keeps the project moving, and any potential problems are sorted out in real time. Unlike the traditional design-bid-build approach, long bidding periods and redesign are eliminated so the owner can start seeing the benefits of their investment sooner. During the course of the project, all costs are presented to the owner in a transparent and detailed fashion. At the end of the project all leftover project funds are returned to the owner. While the project accounting methodology and accelerated schedule associated with the Master Builder approach results in “more project for less m oney,” the proper performance of complex systems is paramount to achieving the maximum project value. Commissioning is a vital step to achieving the desired results. In the Master Builder approach the same team who designs and builds the project is also responsible for commissioning and validating the performance of the completed project. This could mean doing commissioning with internal team members or a third party commissioning agent at the owner’s discretion. The design professional, acting as the single point of contact, simplifies this process for the owner. A team of professionals lead the commissioning effort and start its planning during the early stages of the design phase. This same team is involved during the final design and construction of the project to ensure the performance goals set at the conception of the project are achieved with the successful completion of the project’s commissioning. Consistency in team and project leadership through the Design, Procurement, Construction and Commissioning. The result, is a high performing, lower cost project. Where value is achieved through transparency and partnership between the owner and the master builder. Jason Denue, PE, REP, Associate Principal, and Mark Molnar, PE, Principal, lead Wendel Construction and serve as project managers on all projects utilizing Wendel’s Master Builder delivery model. 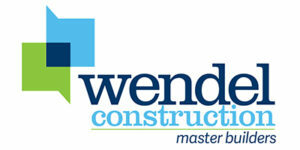 Contact Jason: jdenue@wendelenergy.com; or contact Mark: mmolnar@wendelcompanies.com for help on your next project.